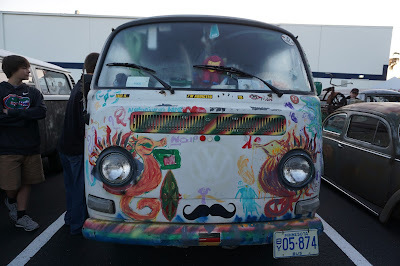 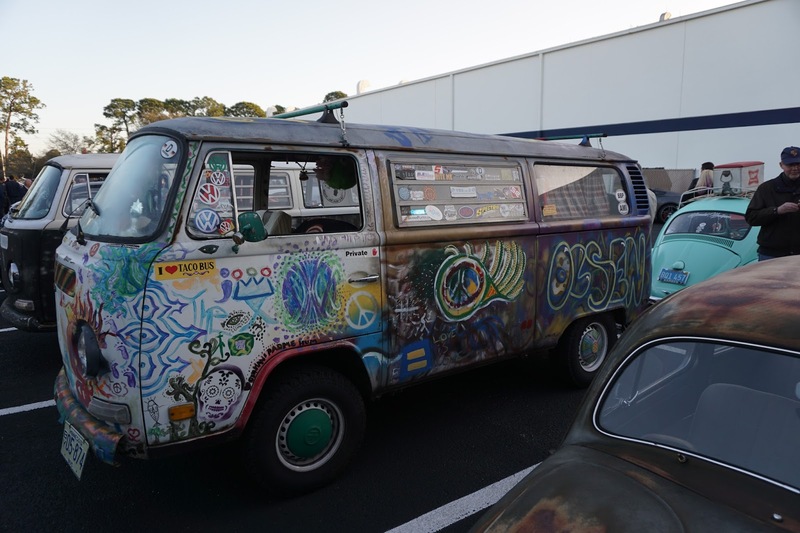 This diversion from my Rolex 24 wrap up is a comment on the popularity of VW Mini Buses from days gone by. 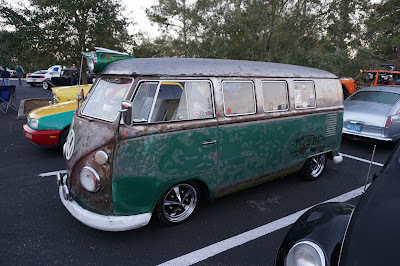 I had the good fortune of seeing a group of VW's at this month's Cars & Coffee in St. Petersburg, FL and thought this was too good a quick post to pass up. 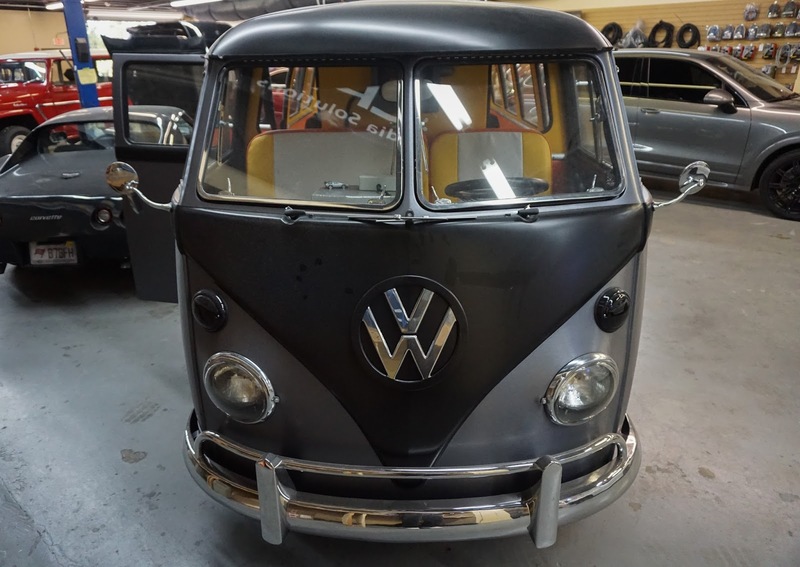 Many new young fans were not around to see the original version of VW's mini bus made popular by Woodstock but these new converts from supercars and off road 4 wheelers have begun to rekindle the magic that these very useful people movers created. Each example is a palette for the owner to create his or her own art and have a one of a kind vehicle. 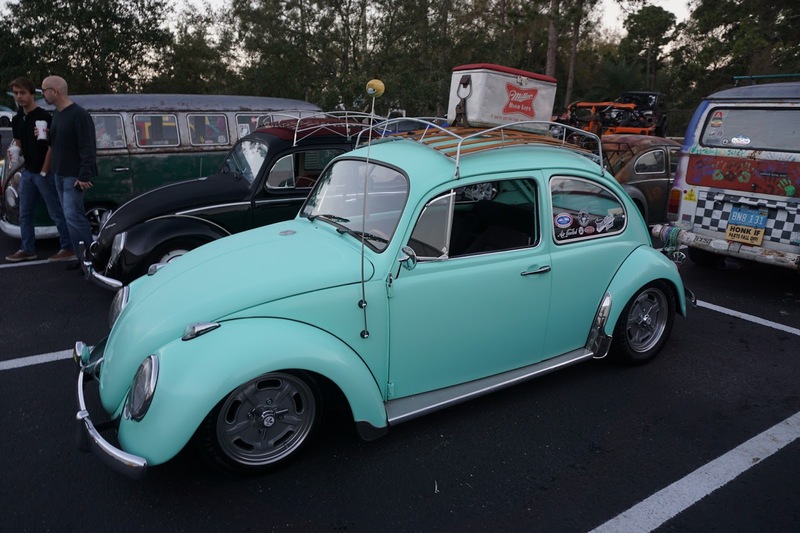 For example, here's OSKAR, whose owner is Miles, a very well spoken young man that works at Air Cooled VW's in Tampa, FL. 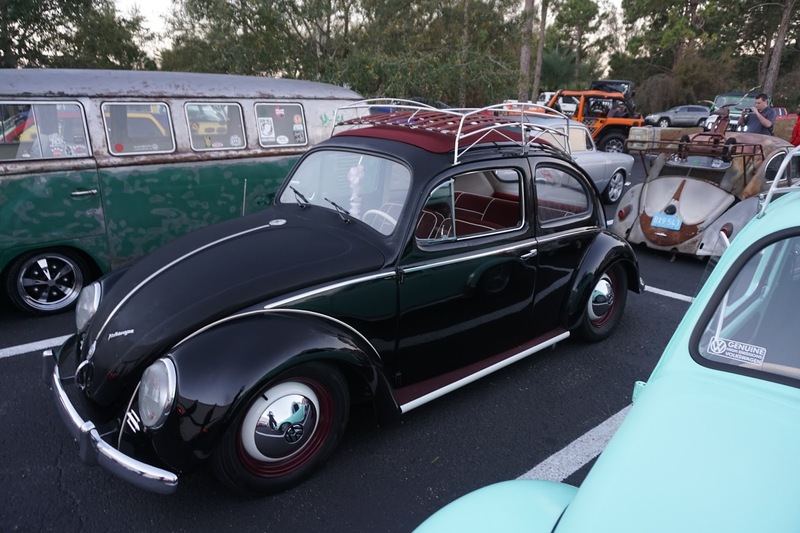 I had the opportunity to talk with Miles for a few minutes and found how his VW is far more than a vehicle to get around in- it's part of his life and an expression of creativity. 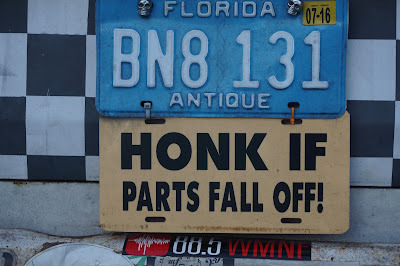 That's what I like to see in a vehicle's owner- passion for and in the vehicle they drive.